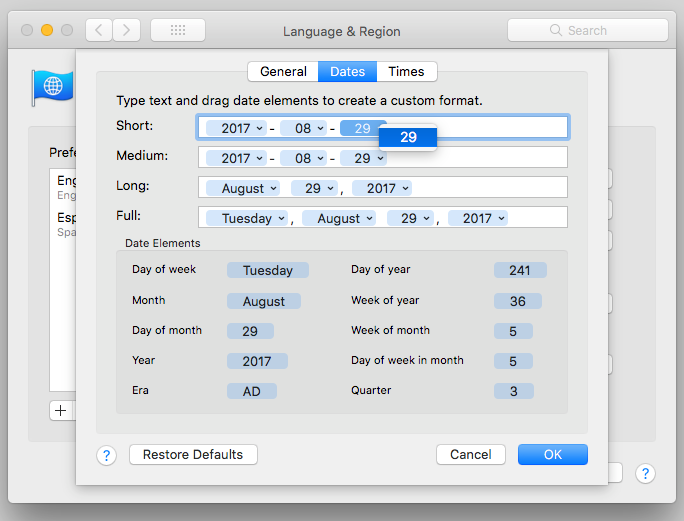 How to set system Short Date to ISO format “yyyy-MM-dd” in High Sierra? 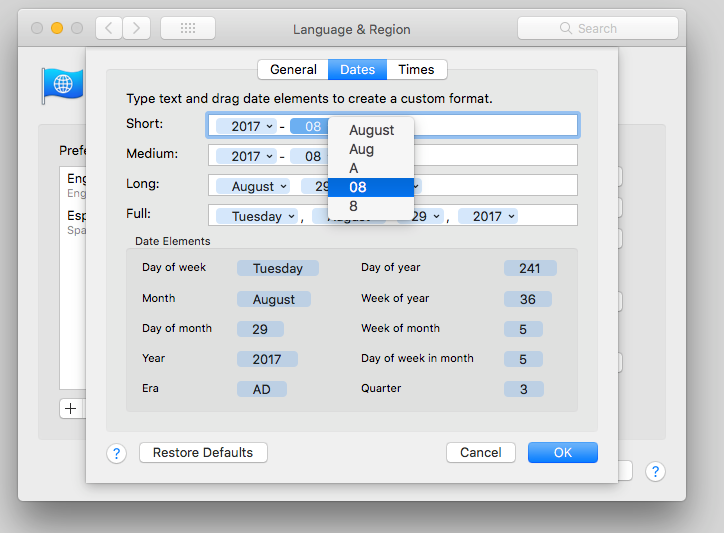 When setting the preferences for the short date string, the Day of Month does not include the trailing 0. How can I change this? Use/copy the Swedish locale for date and time. It follows the ISO-standard. Not the answer you're looking for? Browse other questions tagged high-sierra time . How does macOS High Sierra generate bold weights for its system font?